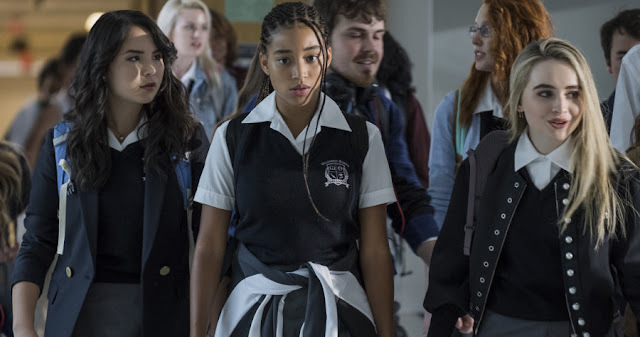 The modern civil rights movement, police brutality and the continued racism that divides this country comes directly to the forefront in the stunning new motion picture, The Hate U Give. 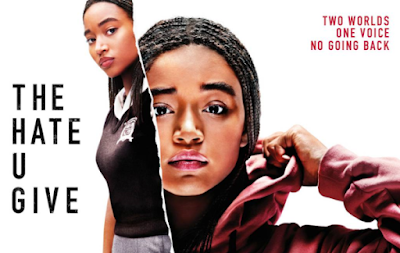 Capturing the tale of a black life that's taken by an overzealous police officer on one fateful night, this story is an emotionally charged chronicle of a teenage girl that's stuck between her own culture and the altered personality that's forced on her by friends, family, and most of those around her. When it all comes to a vibrant head, anyone watching this movie would be inhuman to not feel the range of emotions that are emitted on screen. 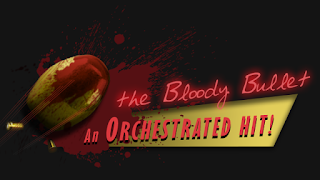 I thought this was that dreaded Heathers remake. But no. Each character has something to say. And each one offers differing viewpoints on the human struggle. We have a mom that just wants her kids to do well. We have the ex-con father that craves for his children to be respectful of their heritage. And we have brothers and sisters that will rise above the madness to back each other at all costs. And we get Anthony Mackie playing an evil drug lord, which struck me as absolutely unbelievable with a flat footed portrayal. This isn't his best moment. 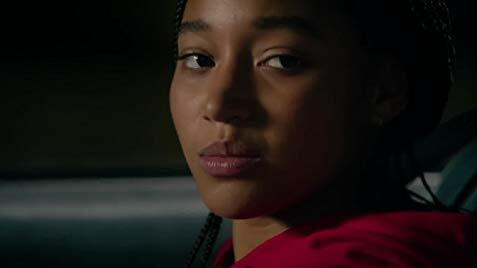 The absolutely amazing Amandla Stendberg leads the charge in a film that's one of the best films about civil injustice since 2013's Fruitvale Station. The message is the same. It's just more fleshed out and much more intent on making its audience connect with a portrait of a beautiful family that's stuck between letting their daughter do the right thing and dealing with the gangland drug dealers and law officers that want to silence her. Considering the racial tensions we feel on a daily basis in the U.S. at any given time, this movie doesn't over politicize the story at hand. Instead, it keeps its well deserved emotions in check while director George Tillman Jr. takes broad strokes to paint a vital picture of what we see on social media, our news feed, and all other outlets on a daily basis. Yes, he takes the profound stance of siding with the disrespected victims and their families, but he never really takes too many digs at the police or their powerful stance. Instead, he seems to play a fine balance by giving us an introspective look at how they view the problem and how they consider their own actions, even if it costs a human life. Using a controlled hand and eye, The Hate U Give is relevant to current times and also the L.A. riots of the '90s and the historic '60s. Coming out of the film, I was struck by a message that seemed to fill out the run time.That being, the more things change, the more they stay the same. No matter how hard we try to alter the reality we live in, nothing can truly be different until both sides of the argument try to communicate and see eye to eye. It's a revolving door of hate fueled by more hate. In the concluding moments of the movie, I really feel that Tillman was going for a well rounded picture about white and black. A centered look at both his subjects, if you will. His ideal world would see both sides of that realm trying to understand each other and how we can potentially stop needless death especially when it can so easily be sidelined with patience and talk. Tillman does a fine job at showing the inherent societal woes caused by both police and the criminal element that inhabits the "ghetto". No one is safe here. Other than a few brief issues I had with some of the editing, this is a great story that deserves whatever attention it can get. Maybe this could spark some peaceful debate about how we solve this ongoing issue.